Ideally located in the heart of Cannes, this heartwarming apartment is fully renovated and meticulously decorated. 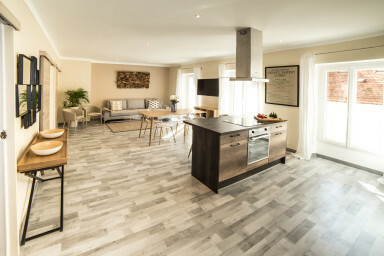 Each "ensuite" bedroom has it's own bathroom & toilet, a modern and equipped kitchen open on the living room and air-conditioning in each rooms. Très bon emplacement. Appartement Nickel. juste un peu de bruit mais pas trop gênant car les chambres sont côté cour. Spotless apartment and wonderful thoughtful touches thank you! Appartement propre, fonctionnel et bien situé.